KAMPALA – Kitunga Alumni emerged the winners of the Kabira football tournament second edition after defeating FUFA FM 3-2, on penalties in the finals played on Sunday. 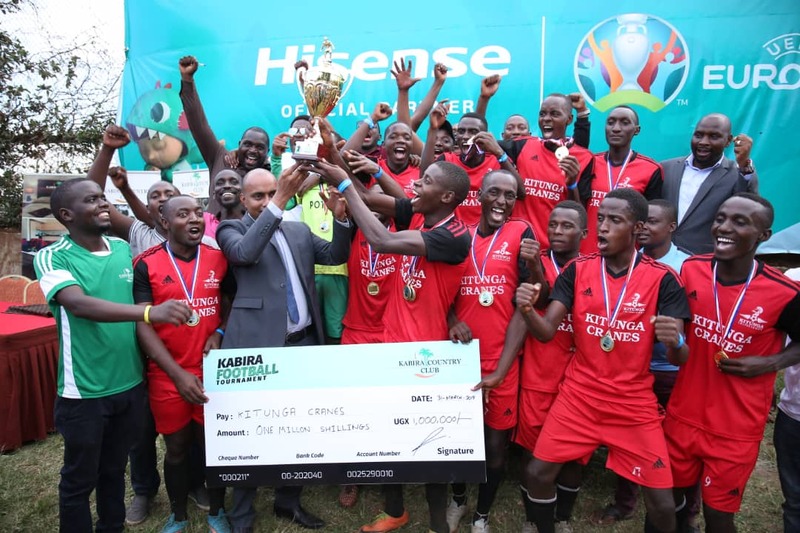 The one – day tournament sponsored by Hisense is geared towards promoting soccer and networking among corporate bodies and has become one of the most sought after annual football competitions in Kampala. Over 20 teams participated in this year’s edition. The first Edition of the Kabira football tournament was won by Prozone team comprised of former Professionals that included Hassan Mubiru, Hakim Magumba Nestroy Kizito ,Mujib Kasule among others.